The Lord is my Shepherd, I shall not be in want of anything I need to fulfill His purpose. When He gives you an assignment, He provides all that you need to succeed. That’s the God I serve, my faith is built on His faithfulness. 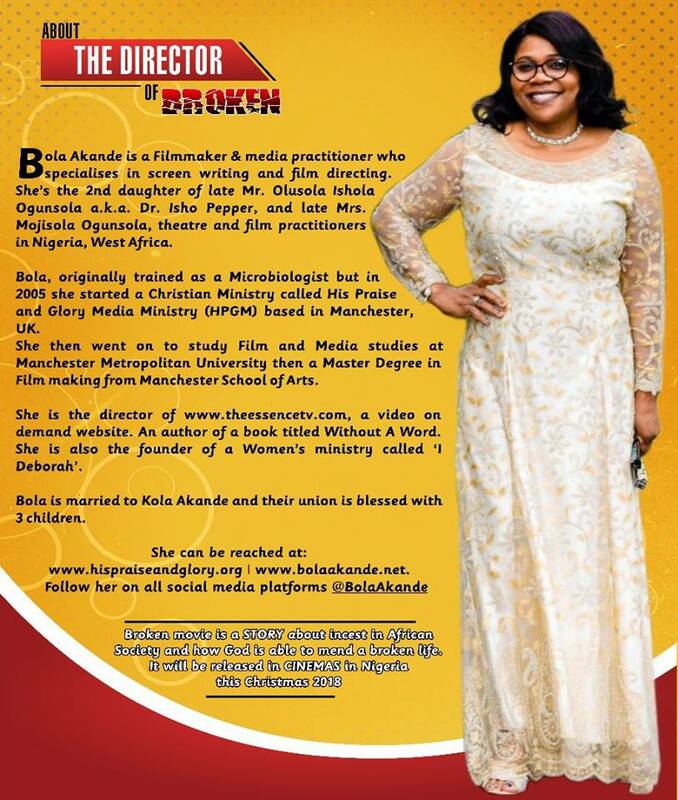 B-R-O-K-E-N the Movie in Nigeria this Christmas. His Praise and Glory Min. HPGMedia is a ministry commissioned by God through the august leadership of the indefatigable Bola Akande. This ministries has churned out numerous movies to edify the body of Christ.